Advanced robotics can improve your productivity by automating your part manufacturing operation – from a blank to a finished part. 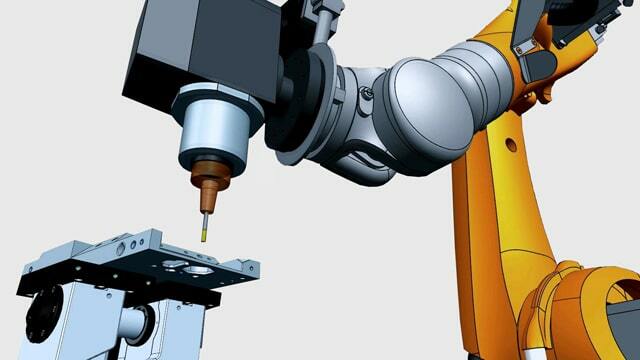 Robotic machining provides more flexibility that can dramatically improve efficiency on the shop floor. Using NX CAM, you can program robots to machine large parts and to automate machining tasks typically performed manually. This enables expanded machining capabilities, reduced cycle time, and improved part quality. With NX, you can also program robots to perform pick-and-place operations, which allows you to drive fully automated workcells. Discover the powerful features of advanced robotic automation. Program robots to perform precise machining tasks such as trimming, de-burring, grinding, and polishing. 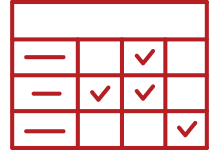 By using robotics to automate these tasks, you can improve accuracy, reduce costs, and increase flexibility. 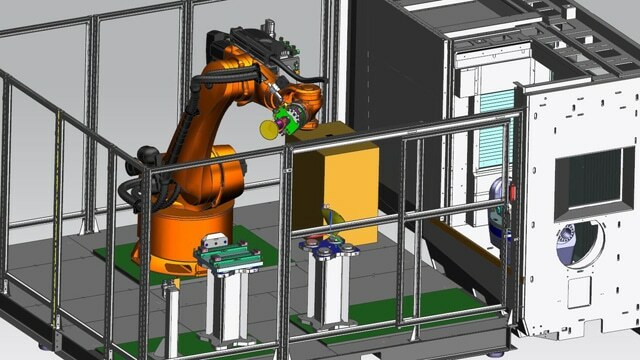 Further automate your part manufacturing operation by using robots to perform pick-and-place tasks, including machine tending and tool loading. This allows extended unattended machining that can maximize your production capacity. 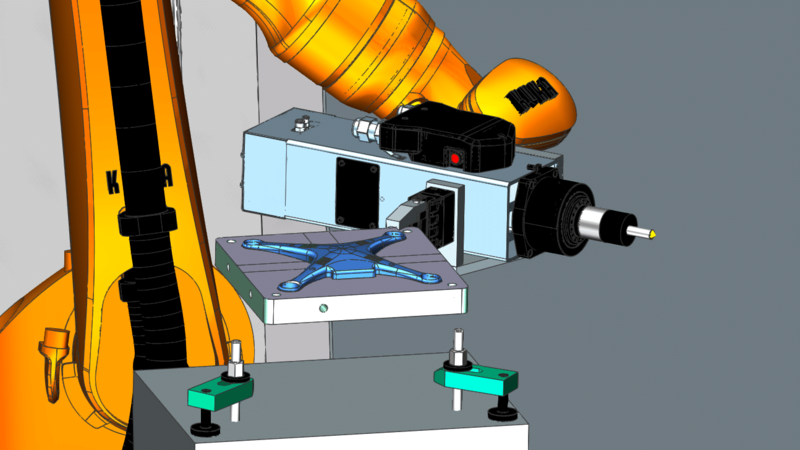 You can boost your productivity by using automated workcells on the shop floor. 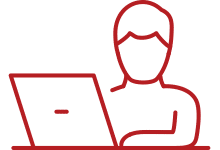 Leverage the advanced capabilities of the latest robotics and CNC technology to automate your operations. 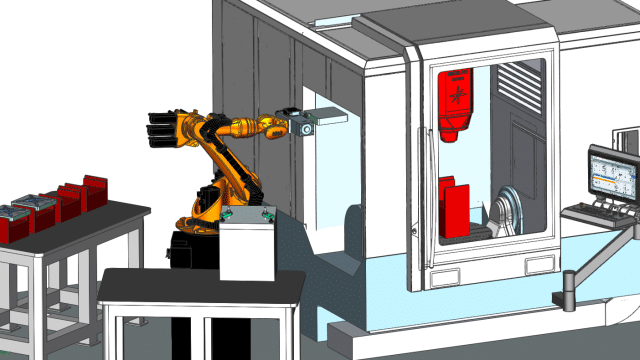 With NX, you can program fully-automated workcells to perform robotic machine tending, tool loading, and CNC machining using one software.